Action, intrigue, demons and dragons. 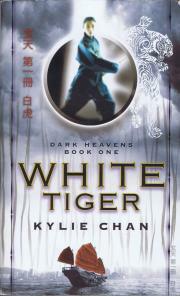 Kylie Chan creates a fast and furious story balanced between the celestial and the mortal, the powerful and the innocent. 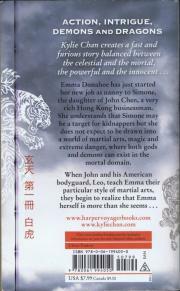 Emma Donahue has just started her new job as nanny to Simone, the daughter of John Chen, a very rich Hong Kong businessman. She understands that Simone may be a target for kidnappers but she does not expect to be drawn into a world of martial arts, magic and extreme danger, where both gods and demons can exist in the mortal domain.